Rod Buskas was born and raised in Wetaskiwin. When he was a youngster it became apparent that Rod was going to excel in sports. He started his hockey on an outdoor rink at his family farm playing with his dad, his brother and his sister. He didn’t play organized hockey in the Wetaskiwin minor hockey system until he was eleven. Then he played two years of pee-wee, two years of bantam and one year of Midget. It seems like almost every team Rod played on in Wetaskiwin was a “winner”or a “contender”. During his two years in Bantam hockey, Rod’s Pahal Motors teams were second in provincials both years. Rod was Assistant Captain of the 1977 Kinsmen Kings Midget “B” hockey team that won the Provincial Championship. As a fastball player Rod was on two provincial championship teams. Rod was also a member of the Wetaskiwin Sport Shot Midget fastball team that won the Western Canadian Championship in 1977. In grade nine he was the top male athlete at Rosebrier School and held junior high school records in track and field. In addition, Rod was the quarterback of the Sabre football team in his Grade 10 year and was named team “rookie of the year”. 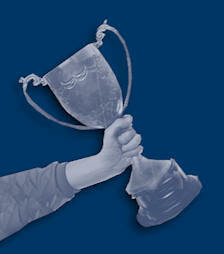 In 1982, Rod was named Wetaskiwin’s male athlete of the year. When he was fifteen he was scouted by the Medicine Hat Tigers of the WHL and attended their training camp in 1977. That year and part of the next year he played for the Red Deer Rustlers of the AJHL and then spent the next two and a half seasons with the Tigers. As he matured in junior, Rod accumulated a fair number of points while providing a physical presence in his own zone. Rod was an WHL All-Star and received the Best Defenseman Award for the Tigers. 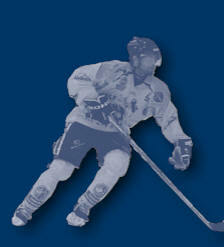 He also set a record of seven points in one game with the Tigers scoring two goals and adding five assists. 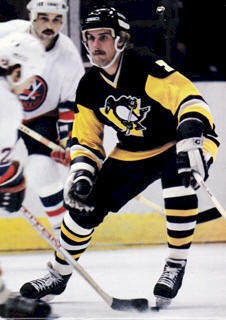 After his solid junior career, Rod was drafted in 1981 in the sixth round by the Pittsburg Penguins. After some seasoning in the minors, Rod made his NHL debut near the start of the 1982-83 season. For eight seasons he was a reliable contributor on the blue line as the club slowly improved over the rest of the decade. In 1989 Rod helped the Penguins come within a game of reaching the Stanley Cup semifinals. At the start of the 1989-90 campaign, Rod was dealt to the Vancouver Canucks. However, he appeared in only 17 games for the Canucks before breaking his ankle, requiring surgery. While recovering, he was traded back to Pittsburgh. Rod was a “hard nosed physical defender” and when he moved to play with the Los Angeles Kings in 1990-91 he was Pittsburgh’s all- time leader in penalty minutes, a record that was later broken. Rod spent a year with the Los Angeles Kings and was then traded to the Chicago Blackhawks in the 1991-92 season. That season’s playoffs would prove to be one of the highlights of Rod’s career as Chicago reached the Stanley Cup finals before losing to Rod’s former team, the Pittsburgh Penguins. Rod’s NHL career came to a close in 1992-93; he played a total of 574 NHL games and finished his tenure with 19 goals, 63 assists along with 1294 penalty minutes. Rod played the next three years in the IHL finishing his hockey career with the Las Vegas Thunder. 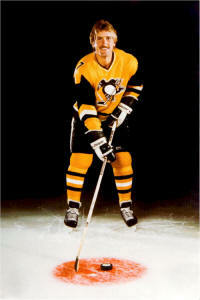 In total, Rod played just under 900 professional hockey league games including those played in the NHL, IHL and AHL. Since retirement Rod has continued his involvement in hockey. In 1995-1996 and part of the next season, he was the Assistant coach with the Las Vegas Thunder. For ten years Rod coached minor hockey teams in Las Vegas Nevada where he currently resides with his wife Debra, son Blake and daughter Paulina. One year he coached Blake’s team to the US National Finals. Rod has also organized and played in Alumni hockey events for Las Vegas charities. This year Rod was invited by Mario Lemieux and the Pittsburgh Penguin organization to play in the Winter Classic Alumni game. The game was played outdoors at Heinz field in Pittsburgh prior to the Pens/Caps Winter Classic game. It was an honor for Rod to be invited to play in this elite group and lace them up one more time with Mario. He also scored a goal in a 5-5 tie. Rod’s exemplary NHL career has been an inspiration to the young hockey players of Wetaskiwin and County. We applaud Rod’s professional hockey career and take pride in inducting Rod Buskas into the Wetaskiwin and County Sports Hall of Fame. Read the opening comments made by Sandra Wright when introducing Rod Buskas.